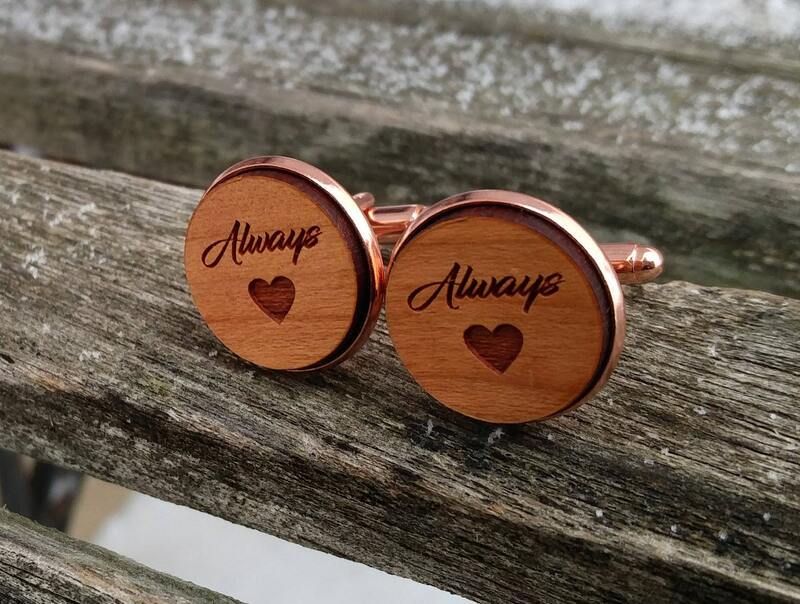 Always Cufflinks. 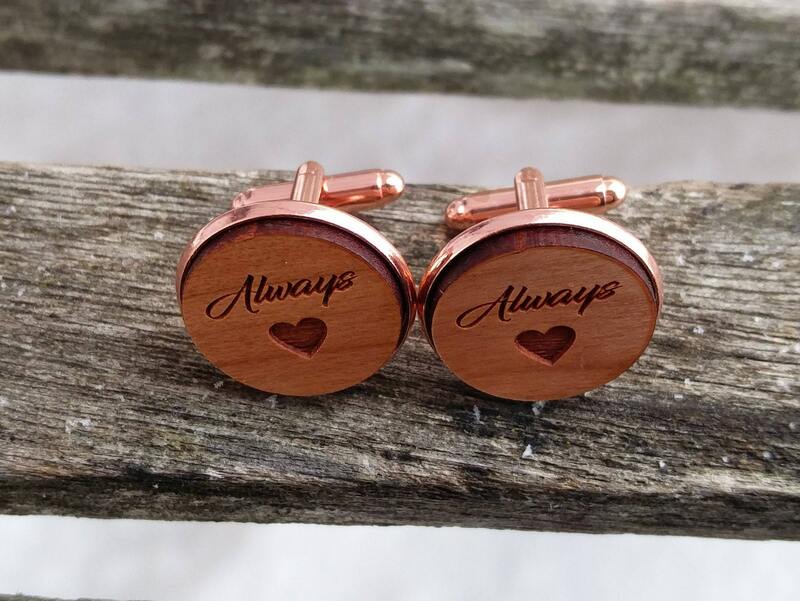 Wedding, Groom Gift, Anniversary, Birthday, Groomsmen, Father's Day. 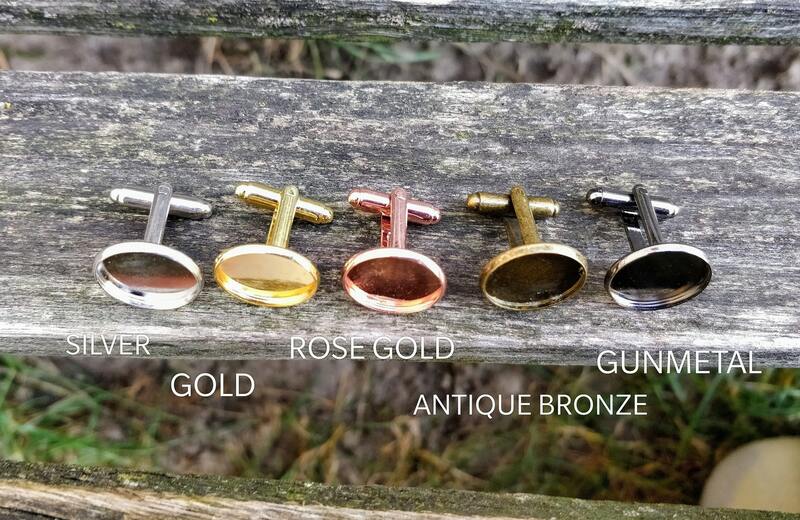 Silver, Gold, Rose Gold, Gunmetal. 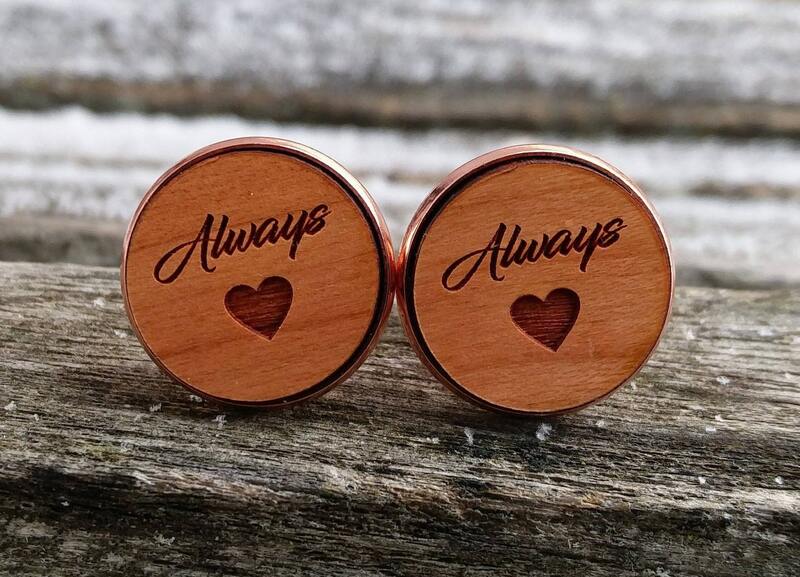 These cufflinks are the perfect gift! 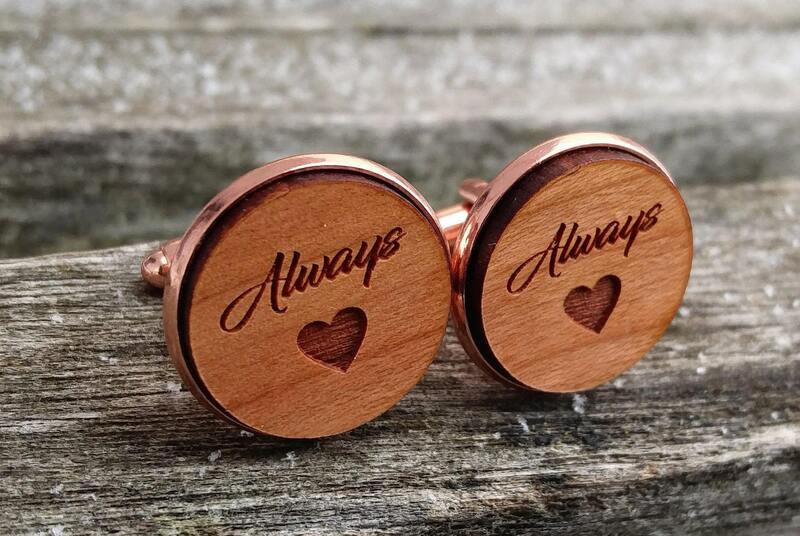 They are made from cherry wood and have the word "always" engraved on them, with a heart. 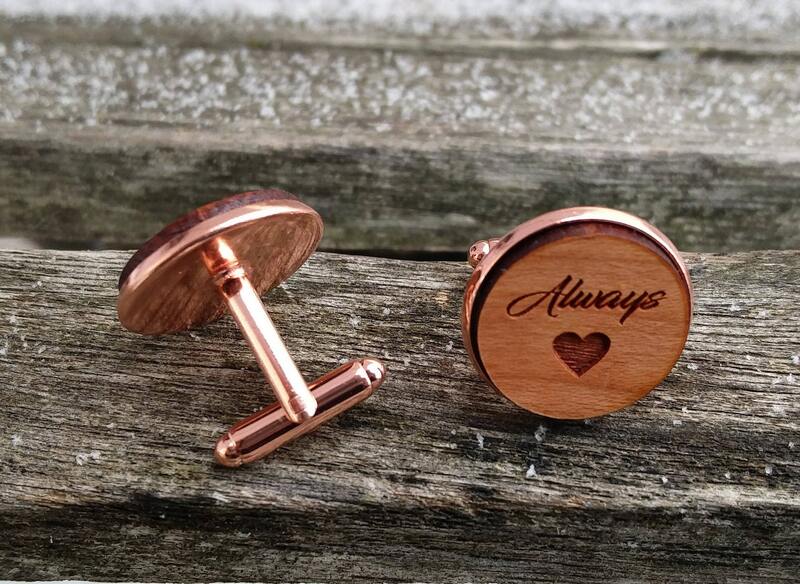 They make a great gift for the groom, or even a great anniversary gift! They measure 20mm. You can choose your metal color too. We can do these in different fonts. Just ask.